Relationship needs change throughout life but one thing remains constant: the importance of companionship. Humans are social beings and connecting with other people is an evolutionary survival skill. Companion care can help you live a happier and healthier existence as all of your needs are tended-to by a compassionate care provider. 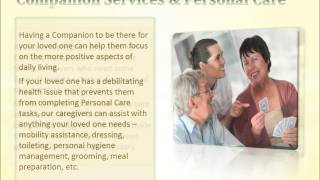 A-1 Home Care Agency is the premier caregiver agency for companion care services. Our companions are available for live-in or live-out and deliver around-the-clock assistance for those in need of support. A-1 Home Care Companion Elderly Services include care for a variety of health issues, transportation, running errands, and overall companionship for well-being. Our companions are committed to help you achieve peace of mind. 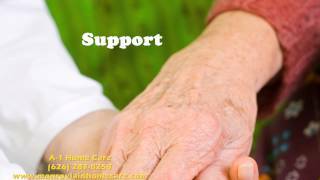 A-1 Home Care is a non-medical homecare agency that provides a variety of in-home care services. If you or a loved one is suffering from kidney disease, we can help provide specialized care and relief from the comfort of your own home. We serve the OC communities of Anaheim Hills, Santa Ana, Tustin, Irvine, Garden Grove, Villa Park, Brea, Fullerton, Yorba Linda, Diamond Bar, La Habra, Los Alamitos, Newport Beach, and others in Orange County. Contact us today at 949 650 38000 or visit A-1 Domestic for more info. You can also find us on Facebook and Twitter! Information, testimonies, and referrals are extremely important. If someone you know has received excellent senior care from an agency, she will tell you about it. Friends and family who visit an elderly family member in the care of a professional certified nurse aide can see firsthand the type of care that the provider gives. Is the nurse aide helpful, attentive and warm? Does the senior seem content in her own home? Does the house look nice and clean? Home care seems to have a ripple effect on people. The more visitors see the quality of care, the more they will spread the word if they’re happy with what they see. This is why A-1 Home Care has been in business for 23 years. Established in 1991, A-1 Home Care has served hundreds and thousands of seniors all throughout Orange County and Los Angeles County. Clients and return client refer their friends and family, and by word-of-mouth, the licensed and bonded agency’s reputation has spread like wildfire, blazing a trail in elder care and raising the bar in professionalism, reliability and compassion. Only the cream of the crop caregivers are selected from our large pool of applicants. When you visit the home of an elderly person receiving care from A-1 Home Care, nothing is hidden and you can always ask your friend how home care is going for him or her. Why tread unknown waters when you know that A-1 Home Care has been built on the foundation of trust from their clients? Licensed, bonded and insured, this home care agency thoroughly investigates criminal background checks, verifies all professional references, and conducts personality/moral character assessments before anyone is allowed to care for your loved one. 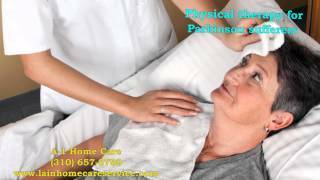 Standard home care services like meal preparation, laundry, light housekeeping, transportation, errands and companion care are included in specialized care like Alzheimer’s Care, Parkinson’s Care, Arthritis Care, and other types of elder care. 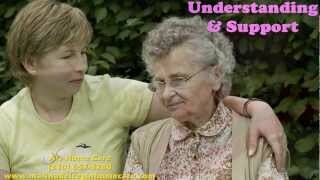 Call A1 Home Care today (714) 523-4010 or visit us online http://orangeinhomecare.com for more information on home care services, elder care, dementia care and other types of care. Services areas include Newport Beach, Villa Park, Costa Mesa, Huntington Beach, Laguna Beach, and other cities all over Orange County. Vision is one of the most important sense for us, and when it begins to deteriorate, then we may experience difficulty staying balance, struggle to make corrective actions after a stumble, and avoid exercising because of it. The lack of exercise can lead to loss in strength and balance, which can lead to falls, bone fractures, and even head trauma in some cases. We understand that some vision impairments are irreversible, but we can do modifications in their surroundings to make life a bit safer for seniors living with low vision. For example, if there are stairs in the house, you can mark the edges with bright, high-contrast tapes to make them extra visible. If there are uneven surfaces, try to remove or repair the problem to reduce the risk of tripping. Clean up any cluster in the house. Boxes, wires, and objects big or small can cause stumble and falls. Finally, make certain that the home for the senior with low vision is adequately lit. But be sure that it is not too bright, because that can cause a glare and make the problem worse. The more risk we can reduce for the seniors with vision impairment, the more likely we can minimize the risk of falling for them and preventing serious injuries altogether. 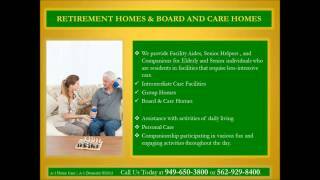 A-1 Home Care is the leading home care agency in Orange County. 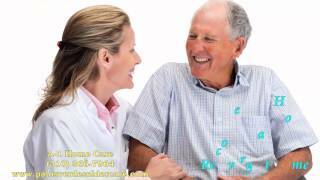 We offer excellent care for seniors suffering from different ailments with individualized plans in Alzheimer Care, After Surgery Care, Parkinson’s Care, Cancer care, Kidney Disease Care, Brain Injury Care, Respite Care, and Elder care. We carefully select caregivers who has the right personality, attitude, and dedication to help seniors stay independent at the comfort of their own home. If you are residents of Anaheim Hills, Santa Ana, Irvine, Tustin,Cerritos, Villa Park, Fountain Valley, and other areas around Orange County, don’t hesitate to inquire about our services today! 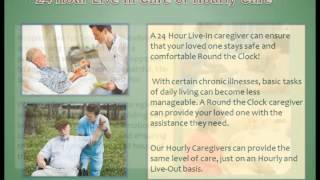 You can contact us today at (949)650-38000 or visit www.orangeinhomecare.com for more info. You can also find us on Facebook and Twitter! One of the main reasons people obtain legal guardianship is to handle the financial decisions of an incapacitated person. On the other hand, they are also responsible for the personal care solution of the individual as well. There are actually quite a few senior care options to choose from. A common choice is residential care, which includes nursing homes, assisted living facilities, or retirement homes. They have qualified care takers managing a number of seniors, and can provide a more social environment for the seniors. Unfortunately, nursing home care be expensive and impersonal, and seniors might not receive the most attentive care they could possible get. An alternative to nursing homes is Home Care. These can be individualized care based on needs and schedule to help seniors with daily activities, assisting with tasks in cooking, cleaning, shopping, and even hygiene management. In addition, seniors can stay independent while staying at their own home, and it can be a more affordable option compare to residential care with the same quality of care providers as nursing homes. 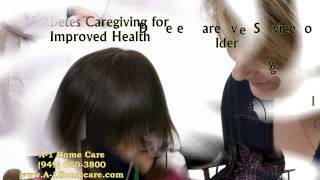 A-1 Home Care is the leading in home care agency in Orange County. We offer exceptional care for seniors suffering from different ailments, putting together a customized plan in Alzheimer and Dementia care, After Surgery Care, Parkinson’s Care, Cancer care,Kidney Disease Care, Brain Injury Care, Respite Care, and Elder care. We also offer compassionate and dedicated caregivers to make lives a little easier for our clients, while staying independent at home. If you are living in Anaheim Hills, Santa Ana, Irvine, Tustin,Cerritos, Villa Park, Fountain Valley, and other areas around Orange County, don’t hesitate to inquire about our services today! Chronic aches can be a pain to live with. Millions of people suffer from the crippling effects of arthritis. While it’s a disease that affects people of all ages, older adults and women are diagnosed more often. Stiffness and tenderness in joints can lead to becoming handicapped from achieving simple, every-day tasks, like answering the phone. Daily activity helps improve your arthritis pain, according to the Mayo Clinic. Not only does is increase flexibility and strength, but it can also help alleviate general fatigue caused by constant pain. Exercising increases blood flow throughout your body, thereby oxygenating your blood to the working muscles. Increased blood flow through exercise can help combat poor circulation as well as the “blues” often associated with ill-health. Although there are many things one can do to help relieve your arthritis pain, sometimes a helping-hand is still needed. 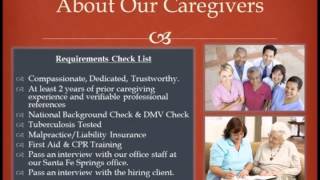 A-1 Home Care is a certified caregiver agency that provides a variety of in-home care services. Our missionis to deliver compassionate care via our trained, non-medical care providers. They are equipped to provide specialized attention and care to help you get through the day or night, with 24-hour care. We are proud to say that our clients can attest to the excellent service strive to provide. We are located in Anaheim Hills, Santa Ana, Tustin, Irvine, Villa Park, Brea, Fullerton, Yorba Linda, Diamond Bar, La Habra, Los Alamitos, Newport Beach, and others in Orange County. Call us today at (949) 650-3800 and follow us on Facebook and Twitter! The pressure to eat, eat, eat during the holidays can be especially difficult for families dealing with diabetes. However, mindful eating is possible during the season of overindulging. You can keep your diabetes under control while still enjoying some holiday favorites. Check out this article from Diabetic Gourmet Magazine for fun and filling holiday recipes. Some tips include choosing “lighter” alternatives, like roasted onions instead of fried onions for your treasured green bean casserole. Be picky. Choose the one food you can’t do without and forego the non-essentials to cut calories. Sharing is caring! Bring your own dish so you know exactly how it was prepared and enjoy it guilt-free. Be merry without the sherry…drink water and keep alcohol consumption to a minimum. Focus on your family, friends, and the joy of the season—not just the feast. Remember-mindful eating involves cultivating habits that you can sustain throughout the year, not just during the holiday season. If you or someone you know is suffering from diabetes, we at A-1 Home Care can help. 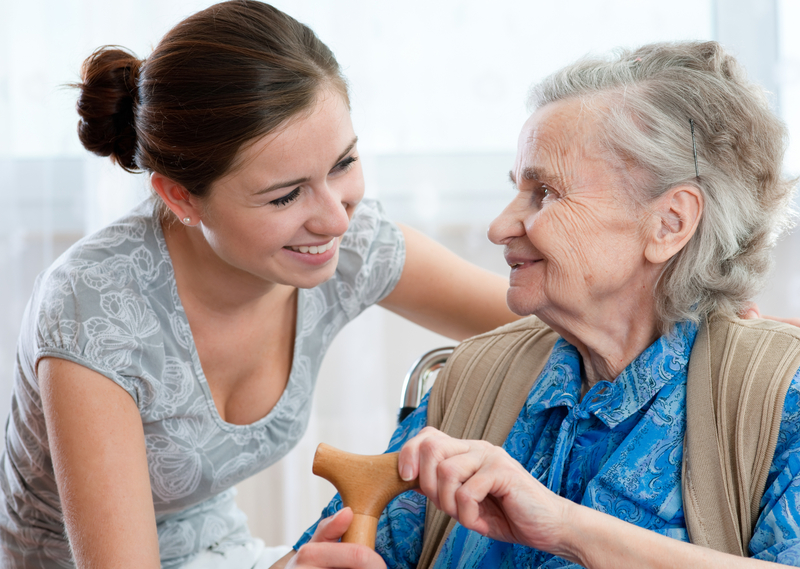 Our certified caregivers provide in-home diabetic care for your Elderly or Senior loved one in the city of Arcadia. Our services are also available in the OC communities of Anaheim Hills, Santa Ana, Tustin, Irvine, Garden Grove, Villa Park, Brea, Fullerton, Yorba Linda, Diamond Bar, La Habra, Los Alamitos, Newport Beach, and others in Orange County. Call us today to interview and hire a compassionate caregiver in your area at (949) 650-3800! Or visit www.a-1domestic.com for more info. You can also find us on Facebook and Twitter! The holidays are a season for family, friends, and too much good food enjoyed by a crackling fire. People who are in need of home care should not be deprived of these warm and fuzzy memories just because they’re sick. A-1 Home Care can make this possible with help from our charitable caregivers. 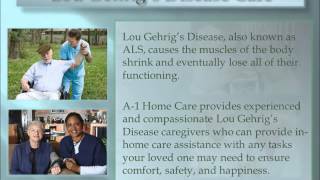 A-1 Home Care offers exceptional care for individuals who require special attention for a variety of ailments such as, Alzheimer and Dementia care, Cancer care, Respite Care, and Elder care. Our Hospice caregivers can make the holidays special once more with quality at-home care from the comfort of your own home. Home health assistance for patients can return their humanity by providing personal care that’s tailored to their specific needs. Home care for your loved ones during the holidays is the perfect gift to give. We are located throughout the greater Orange County area, with locations in Anaheim Hills, Santa Ana, Tustin, Irvine, Villa Park, Brea, Fullerton, Yorba Linda, Diamond Bar, La Habra, Los Alamitos and Newport Beach. Visit us at www.a-1domestic.com and follow us on Facebook and Twitter!